The Lethbridge & District Humane Society receives no regular government or tax dollars – our services are possible only because of the generosity of the people who care. A tax receipt will be issued for all monetary donations and in some cases donations in kind. If you wish your donation to be used in a certain way please contact the Humane Society Manager for more information. The Lethbridge and District Humane Society relies on donations from the local community for everything from providing rescue animals with veterinary care to the costs incurred from daily building operations. Your donation helps every animal that enters the society whether it is directly or indirectly. Some animals arrive at the society injured, sick, or come from a negative situation. Others are simply lost or worse, unwanted. Each animal receives care and love from our volunteers along with shelter, food, medicine, microchip, and are spayed or neutered. Beyond this any further medical needs are provided for such as surgery, special medications, and rehabilitation. Not only does your planned gift help every animal that enters the society, it also provides you with financial benefits. Through gift matching you can double or even triple donations and gift the Lethbridge and District Humane Society receives through other sources. If you or your spouse are employed by, serve on a board for, or are retired from a company that offers a gift matching program, this can be a great way to donate. Gift matching is important to the organizations philanthropy and fundraising efforts. Companies dedicated to this great fundraising initiative match cash donations to charitable organizations. Beyond cash donations, organizations can also match volunteer hours and stock transfers or securities. Each organization has its own specific rules regarding: length of service with your employer, minimum donation matched, retiree giving, and maximum donation match, and so on. Contact your manager or human resources professional to find out if your gift to the Lethbridge and District Humane Society can be matched, or if you have an idea for gift matching. For more information about matching gifts or other planned giving options, please email or call us. Giving can be as simple as a conversation with your personal bank. More specifically, you can authorize the Lethbridge and District Humane Society to receive monthly withdrawals of an amount of your choosing. Not only does this make giving easy it can make your donation automatic, convenient, and effective. For more information on monthly giving, please email or call us. A charitable bequest is a distribution from your estate to the Lethbridge and District Humane Society. There are different kinds of bequests. For each, you must use very specific language to indicate the precise direction of your assets, and to successfully carry out your final wishes. It is recommended that you consult with legal and financial professionals to ensure your wishes are successfully carried out. 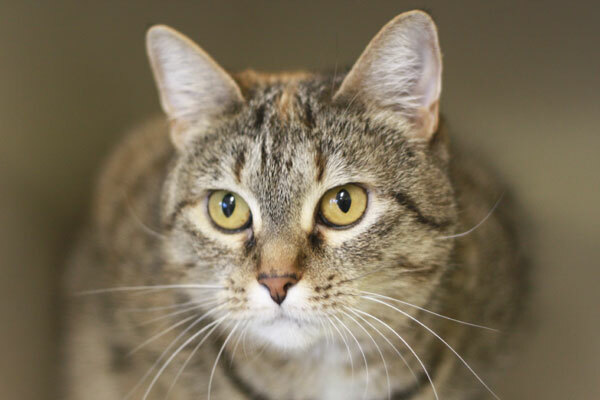 Specific Bequest: Designate a specific amount or percentage of your estate that you wish to leave to the Lethbridge and District Humane Society. Residual Bequest: Name the Lethbridge and District Humane Society as a beneficiary; once all other specific provisions of your estate have been fulfilled, the shelter will receive all or a percentage of the remainder of your estate. If you own publicly listed securities (stocks, bonds, mutual fund units or shares) that have appreciated in value, you can donate these directly instead of having to cashing them in to make a donation. A good reason to donate them directly is because, if you cash in these securities, you have to include 50% of the capital gain (how much they have increased in value) in your income claim for the year. If you donate the securities directly, you do not include any of the capital gain in your income tax claims. If you want to donate shares but they may have decreased in value you can still receive tax benefits. In addition to receiving a tax receipt for the market value of the shares, donating them will also result in crystallizing a capital loss. You can then apply the capital loss against any capital gains. The capital loss can be carried back three years and forward indefinitely. The gift of securities is usually valued at the market close, the day it is received into the charity’s brokerage account and the donor will receive a tax receipt based on that amount. The Canada Revenue Agency allows registered charities to be named beneficiaries of Registered Retirement Savings Plans (RRSP) and Registered Retirement Income Funds (RRIF), upon death and a tax receipt is issued to the estate. This form of planned giving is available to all individuals, and is attractive if you have made other provisions for your loved ones. There is no requirement to amend an existing will. For any planned giving involving your retirement plan assets, it is recommended that you seek professional legal and financial advice and assistance in planning for the future. Purchase a new policy and name the Lethbridge and District Humane Society as the owner and beneficiary; you receive a tax receipt for the full value of the annual premiums paid. Designate the Lethbridge and District Humane Society as the beneficiary and owner of an existing policy you no longer require. The tax benefits will be issued to you for the cash surrender value of the policy. Name the Lethbridge and District Humane Society as the primary or successor beneficiary of the proceeds of your policy. For any planned giving involving your life insurance policy, it is recommended that you seek professional legal and financial advice and assistance in planning for the future. Life insurance premiums form part of your annual charitable gifts for income tax purposes. Giving property as a gift is called a “gift-in-kind” which refers to donations of tangible assets such as special collections, real estate, art work, and cultural property. A gift of property may be used or sold by the Lethbridge and District Humane Society. The tax receipt is issued for the fair market value which is determined by an appraisal. This option if great for those who own a principal residence or investment property, but no longer need the property or the proceeds from the sale of the property. A gift of trust is made when you decide to make the Lethbridge and District Humane Society the secondary beneficiary to an irrevocable trust. The primary or income beneficiary includes you, and if applicable, your spouse. Throughout your lifetime or for a stated period of time you will receive a predetermined amount of the trust; upon death the Lethbridge and District Humane Society will receive the remainder of the trust.You can choose to transfer property (such as cash, securities, or real estate) to a Trustee, who manages and holds the assets. If there is income generated from the property, you may receive income from the trust for life or for a specified time period. After the specified term or after the death of the last beneficiary, the trust remainder is transferred to the Lethbridge and District Humane Society. Following the transfer of the property to a Trustee, a trust document is created which names the Lethbridge and District Humane Society as the residual beneficiary. You will then receive a charitable tax receipt for the present value of the gift, based on actuarial tables. For any planned giving involving your estate, it is recommended that you seek professional legal and financial advice and assistance in planning for the future.